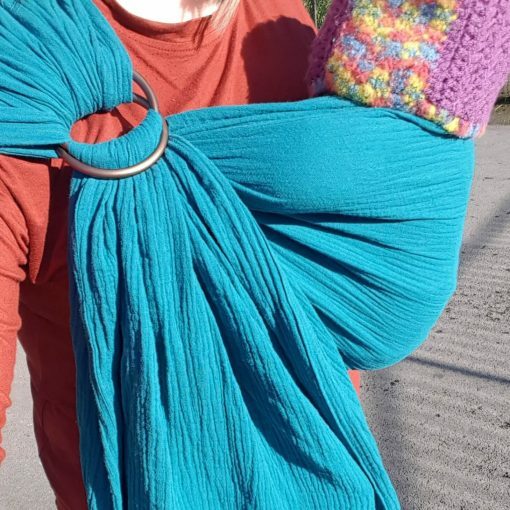 Our Muslin Ring sling is compact and extremely lightweight, quick and easy to use and it folds up so small that you can easily fit it in your pocket or bag. 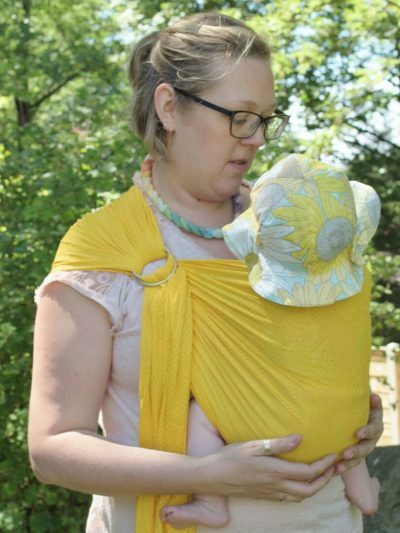 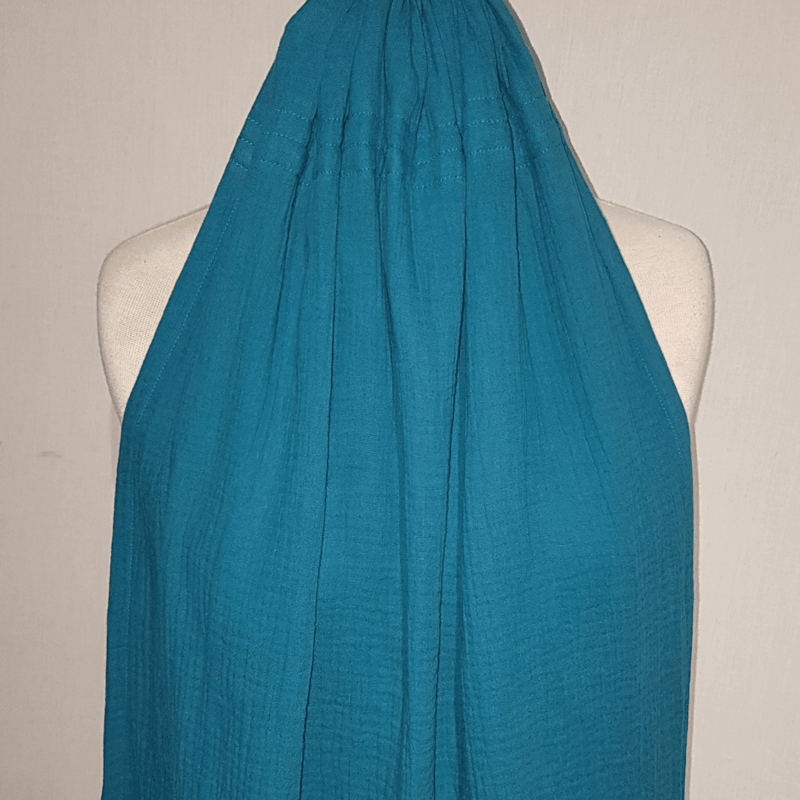 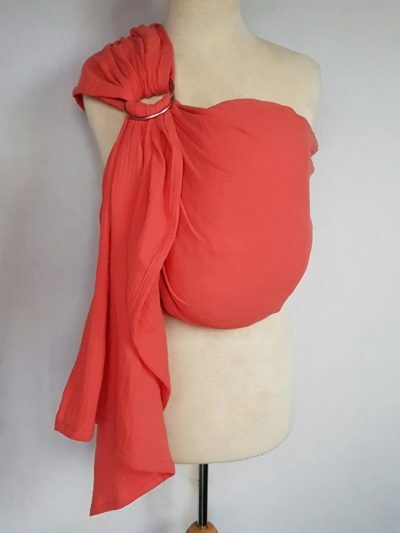 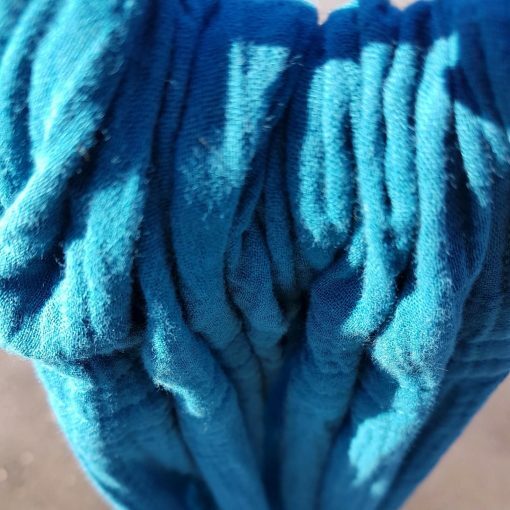 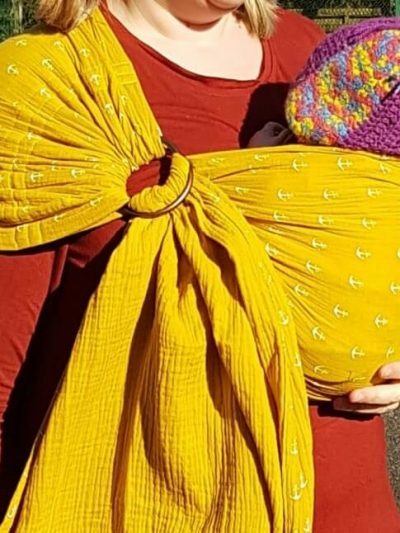 Two layers of muslin woven together create a fabric that is strong but lightweight, this super soft 100% cotton sling is snuggly and perfect for newborns but will also carry a toddler easily. 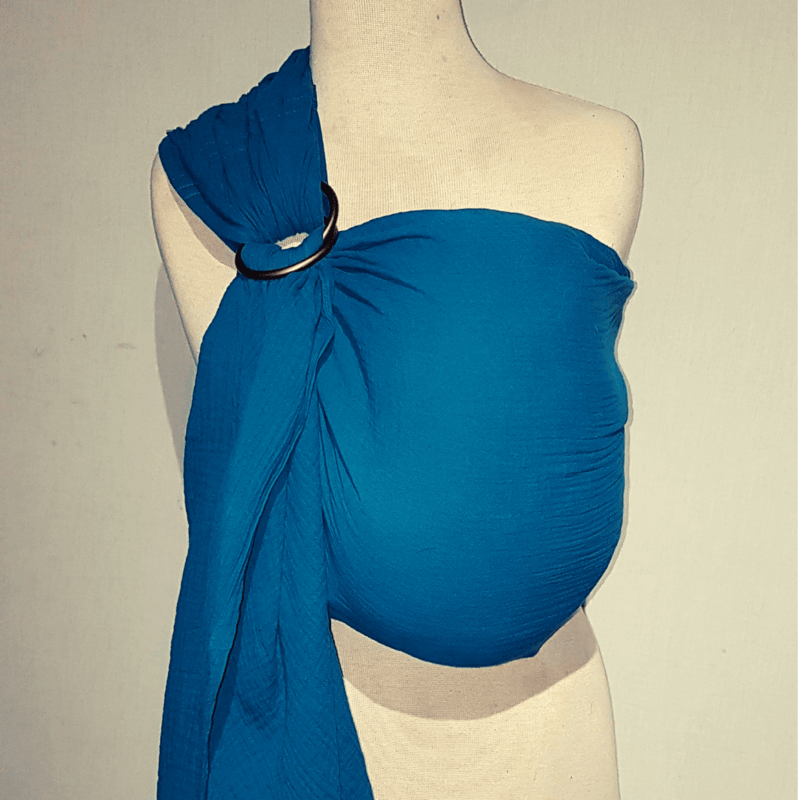 Rings will be the best match with the colour of the fabric, if you have a specific preference please detail in the notes.